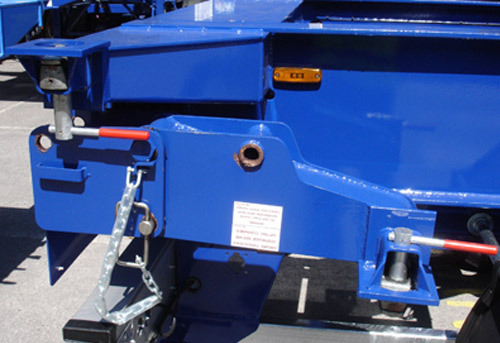 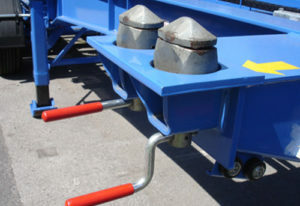 Our range of standard fixed length skeletals that carry I.S.O containers is complemented by our rolling bogie skeletal trailer, designed to operate with the 13.6m container and 45’ American container in addition to the standard I.S.O boxes. 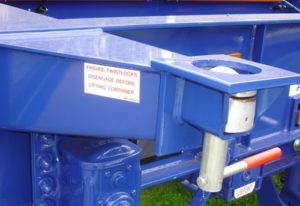 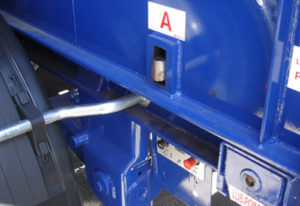 So whether you operate with a 20’ or a 45’ container, you can load and offload at the rear while remaining within legal restrictions when in running condition. 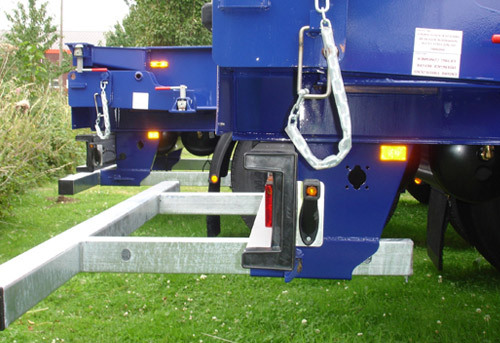 Our skeletals are manufactured to the highest standard, using only the highest quality materials at our factory in Mallusk, Newtownabbey. See below for our standard specification.